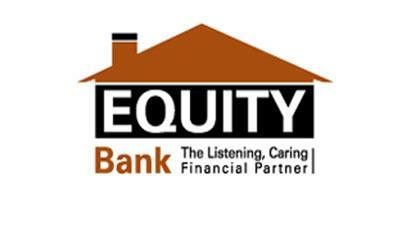 Equiloan – A loan facility that enables Equity bank clients can develop themselves by acquiring assets and also sorting out their own personal issues. It is unsecured but there is an understanding with your employer to pay your salary into the account with EBL. The repayment period is up to 60 months. The eligibility requirements are that you must an employee of an institution that has an operative Equity Bank account and that EBL must have an MOU with your employer. Flexi-salo – A loan that is provided to the salaried customers whose institutions do not have check-off agreements with Equity bank or they are not served under the salary advance loan. The maximum amount is up to Kshs.2 million depending on your ability to pay. The repayment period is up to 60 months and no tangible security is required. It has an insurance policy against death and disability. The requirements are that you must an active account holder with Equity bank and you have to show existence of other sources of income that can be utilized to cover the loan payment. Salary advance – A loan facility advanced to salaried individuals to help them met their urgent needs. It is up to 4 times the average monthly net salary. No collateral is required for a loan that is up to Kshs.300, 000. Automatic debits of the clients account for repayment hence no long bank queue. It is fast when it comes to processing and disbursement. Has an added value of loan insurance against death and disability. The requirements are that you be an account holder with equity bank, submit your application in time and demonstrate other means of income that can be used to cover the loan. Maji Loan – A loan for facility that makes it easier to access clean water. Finances are provided towards water connections, purchase of tanks, shallow wells, boreholes, water pumps and much more. Has flexible repayment period that is up to 3 years. The financing is up to 100% of the value of the loan amount. Requires flexible collaterals. For you to qualify for such a loan you must be a customer of the bank with an account that has been operational for at least 3 months. Jamii Safi Loan – A loan facility that facilitates the construction of toilets and pit latrines, biogas digesters, septic tanks, connection to sewer lines and much more. Has a flexible repayment period of up to 36 months. Financing 100% of the value of the loan amount.